Steady progress was the buzz word on the Greenway this month. The City & County Council workers have been busy laying the first surface on many sections throughout the new Greenway. 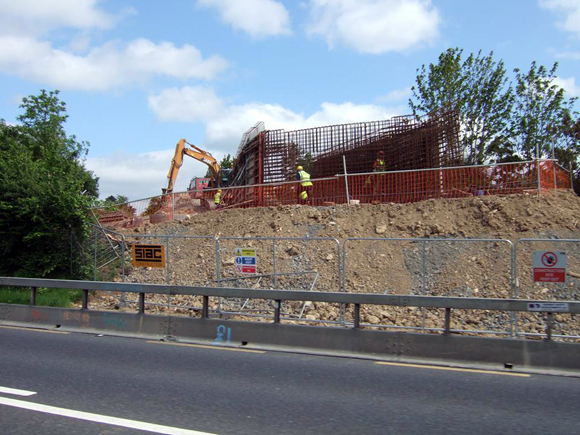 There has also been good progress on the pedestrian tunnel at McGrath's Cross, under the N25 which is now heading for completion. 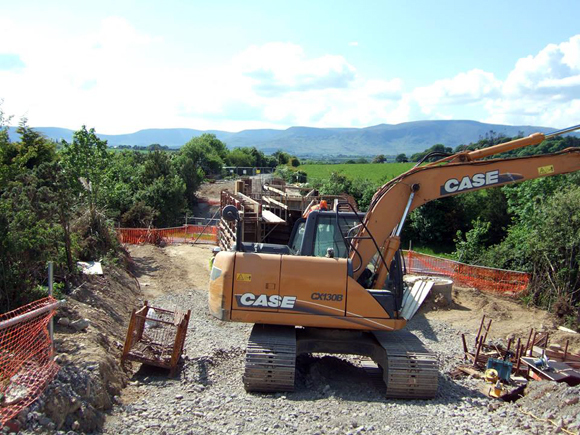 The footbridge at Kilmacthomas over the N25 has been a hive of activity, all through this month of May. 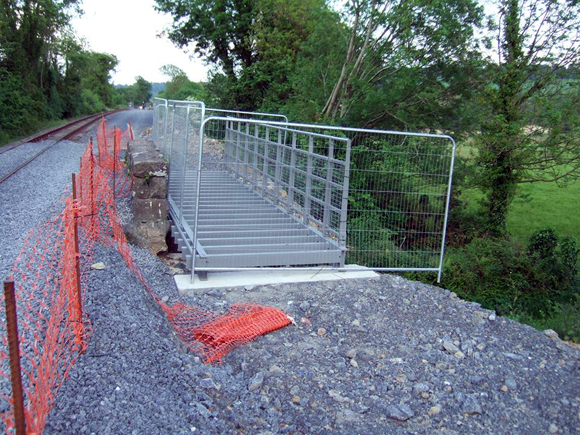 Mount Congreve along the river Suir has seen some footbridges placed in position, and foundations laid for more. 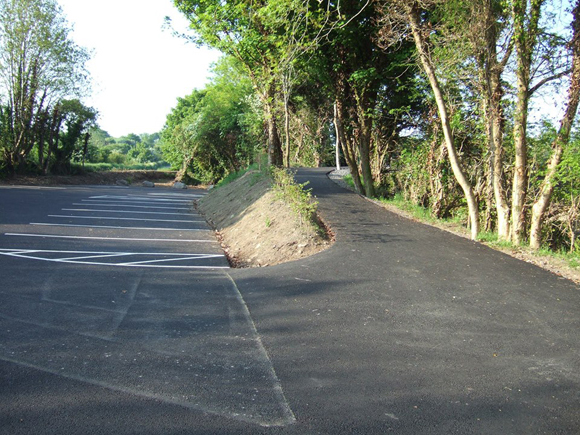 Durrow saw the completion of a car park which has been finished beautifully. 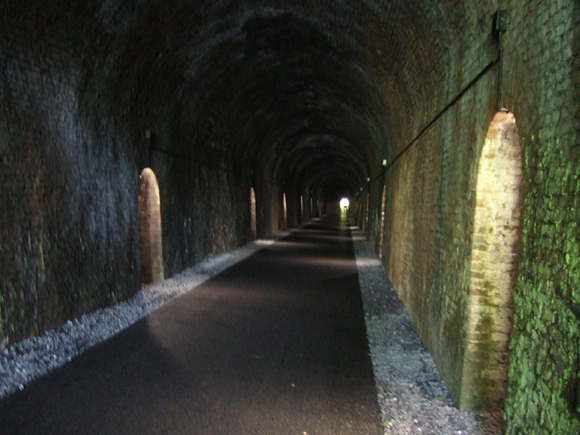 Also in May, the 138 year old Durrow Tunnel received its electric lights. 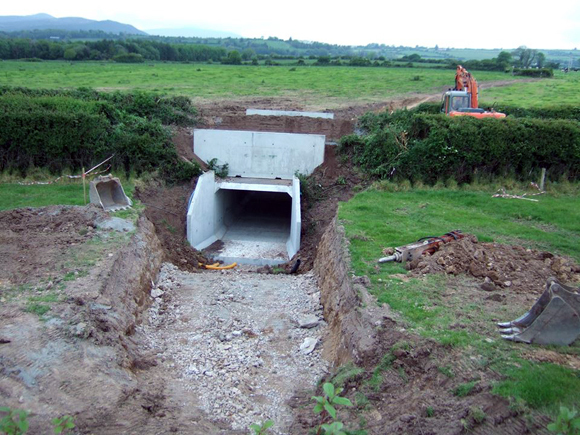 Fascinating is how you would describe the 1/4 mile long alcove lit tunnel, beautiful, peaceful, smart or even a hint of French Vaults about it, however you describe the Durrow Tunnel it's going to be a wonderful talking point along the exciting new Waterford Greenway. All in all May has seen the Greenway move nicely forward, and with most sections of the Greenway now under construction, we get a sense of the finished Greenway awaiting us later this year. The quality of the work being done on the Greenway is "first class" and this will serve Waterford well for generations to come. 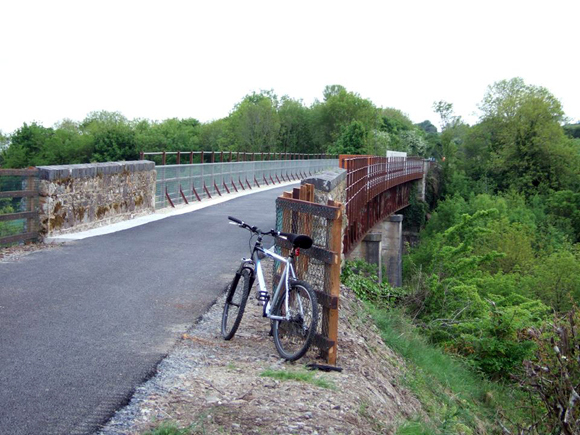 The Greenway will be one of Waterford's premier attractions when it opens in late August and with the contact we have had with tourists here at Deise Greenway, Waterford is going to be a busy place.